Helping you pick top coffee machine to brew great coffee! Single-Serve Coffee Maker, also called single-cup or K-cups coffee maker, has become more and more popular in recent years for its consistency and convenience. If you want to have a fresh and flavorful cup of coffee without any mess or fuss at any time of a day, Single-Serve Coffee Maker should be the best option for you. It usually has a compact design, and can be used at home or in the office without taking much room. Comparing the automatic drip coffee makers, single-serving models are even more easier to use and more consistent. No need to worry about messy coffee grounds or filters, less clean-up, but make more delicious espresso drinks like cappuccino, lungo, cafe Americano or latte. It utilizes coffee pods to brew coffees, and usually provides a lot of flavors to let you choose. You can entertain house guests when you have a variety of K-cups coffee pods at home. The only downside is that the coffee pods are more expensive than coffee ground or coffee beans. So it may cost you more money over time. Creating your own authentic Italian espresso based beverages with the comfort of home, the De'Longhi Lattissima Pro is absolutely the best choice to make that happen. 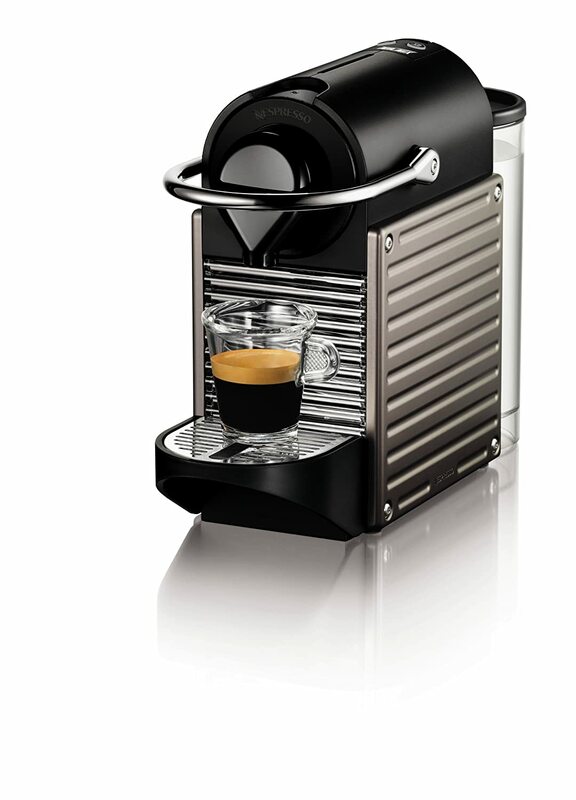 It uses Nespresso Grand Cru Coffee Capsules, about 22 coffee varieties can be choose from. With De’Longhi’s automatic cappuccino system and high automation, it allows you to produce the richest, thickest longest espresso with only one touch button. The design is also elegent: small counter footprint with compact stainless steel body, modern-industrial look and sensor touch display, it can modernize your kicthen without taking up much room. All in all, you could be very addictive to this product, and won’t regret with the purchase. This is hands down the best espresso maker for under $200 currently available on the online market. The Pixie Espresso Maker is made of metal and manufactured in Switzerland, offers avant-garde design with elegance and functionality. Comparing to a hulking Keurig machine, It’s sleek and tiny so it doesn’t take up much space in your kitchen. And it brews very quickly, just click the start button and 30 seconds later you’ll have a cup of delicious espresso, cappuccino, lungo, cafe Americano or latte. Currently Nespresso has five espresso machines, the Pixie is the middle one of them, it’s rated 4.8 stars on Nespresso and 4.6 stars on Amazon (Almost the best rated one). A lot of people love its easy to use & compact, and enjoy the decent coffee it makes. 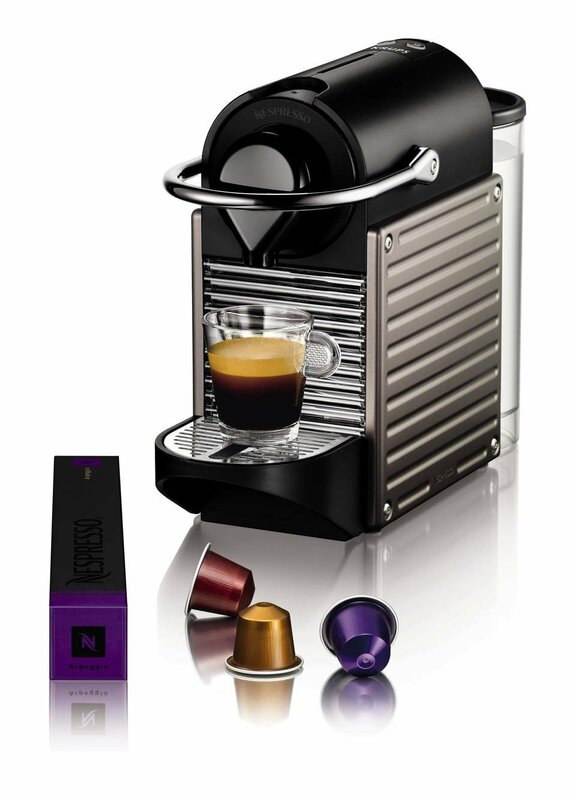 Nespresso offers many different coffee capsules to choose, 16 capsules come with the machine. After they’re run out, you need to buy your capsules online from Nespresso.com. This is the best price capsule espresso maker. 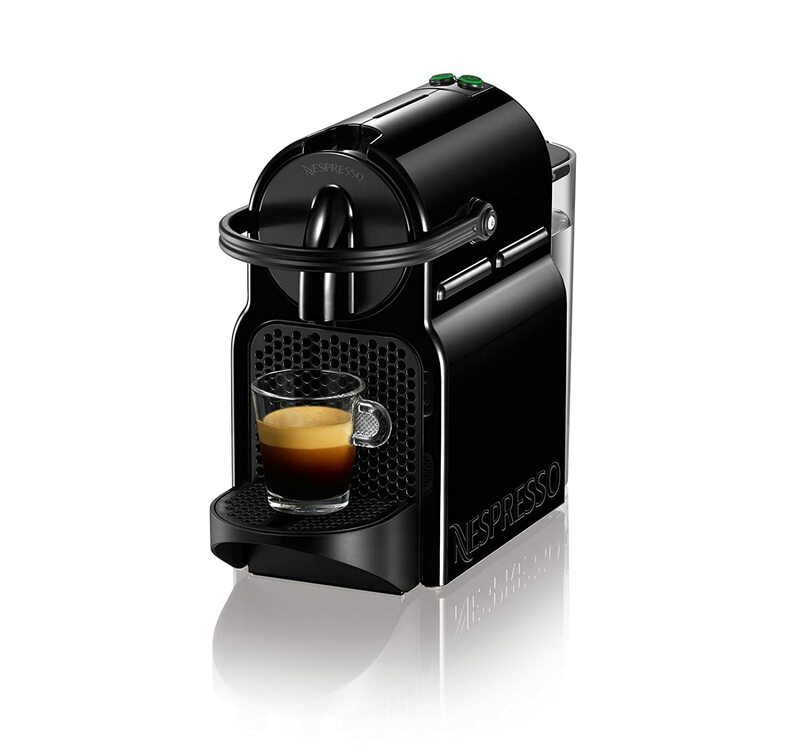 If you’re looking for an espresso maker under $100 in US, the Nespresso Inissia Espresso Maker could be your best choice. With 19 bar though pump driven and variety of tasty(a little set of 16 capsules come with the machine), the new Inissia is a ideal model you and I have been waiting for. It’s so easy to use, just fill the tank, drop in one coffee pod, hit the power button, 25 seconds for preheating, 30 seconds for brewing, then you get a perfect cup of espresso, cappuccino, lungo, cafe Americano or latte. Comparing going to Starbucks, the Inissia should be vast amounts cheaper, but makes far better espresso at home. 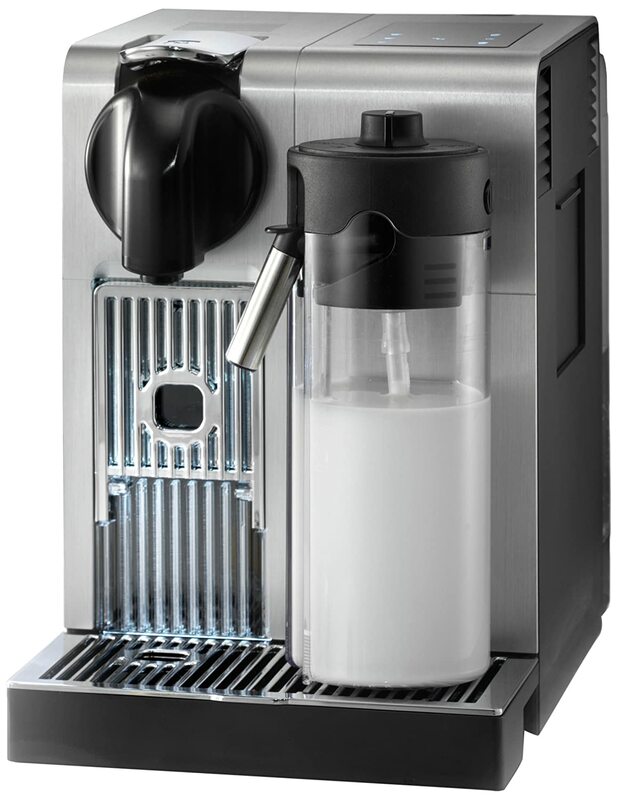 It is solidly designed with the Compact brewing unit technology, well built and seems durable. Comparing the Nespresso Pixie Espresso Maker (50% price higher with more steel), it’s made from heavy gauge steel housed with a beautiful plastic skin. Another big plus of the Inissia is: No need to wait for the machine to warm up. The super convienience of making a delicious cup of espresso makes it a winner under $100 on the market, and the average 4.5 stars on Amazon is an another provement. 2 Programmable buttons for Espresso and lungo preparation to ajust the brew strengh. This is the best basic capsule espresso maker. 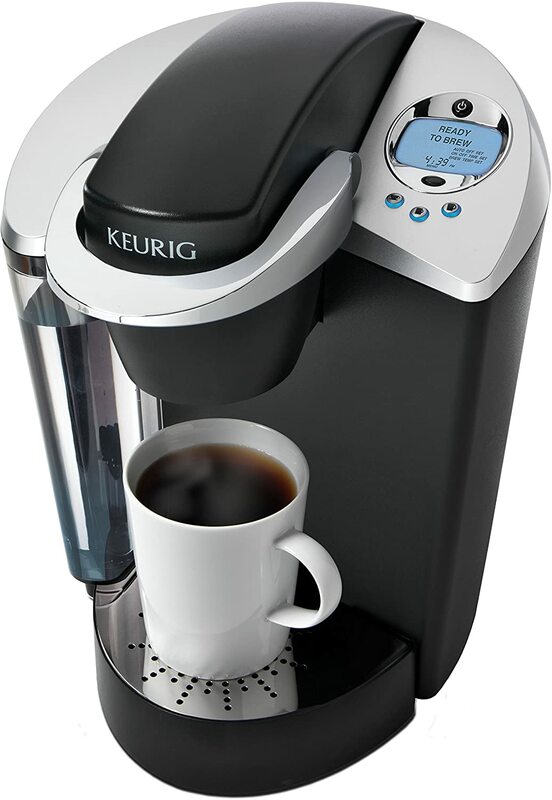 If you are a coffeeholic and like your coffee fresh, the Keurig K60/K65 should be the right machine for you. It’s easy to set up and easy to use. Simply pour in 30~50 oz of water into the water filter, turn on the warm up button, place in your coffee pods, adjust the right temprature, then select the size of cup you wish(3 brew-size options: 6 oz., 8 oz. and 10 oz) on the one-touch control panel. It starts to brew, and you will get a perfect cup of coffee in one minute. Clean up is also very easy, drip tray is removable, water reservoir is removable, and K-cup can be discard after use. You don’t need to descale the machine on a regular basis if you run distilled water in this machine. Compared to Nespresso’s single servers, the Keurig K60/K65 accepts generic coffee pods from places such as the local grocery, target brand, amazon generic brands etc. It’s a DEAL BREAKER for many people, you don’t have to stick to Keurig K-cups if you prefer others. Additionally, if you think K Cups are expensive, you can use a reusable filter to make your own coffee. And you can use this machine for tea too. So, don’t hesitate to use this machine in your kichen or office, it’s really convenient. 2017 topcoffeemachine.com Design. All rights reserved.